Srinagar as seen from the Hari Parbat hills. Medieval Kashmir was perhaps the last era when, Shehr-e-Kashmir followed conventional wisdom for its expansion. Sultans had learnt the lessons about how the Hindu kings, some of whom dislocated the capital out of Srinagar, a city founded by Ashoka, failed to make the new governance towns survive in history. When the Hindu rule breathed its last in Saderkote, the Fort that was the last Hindu centre of power, Shehr-e-Kashmir started building up. It was Allauddin Pora (between Jamia Masjid and Ali Kadal), Qutubddin Pora (near Khanqahi Mualla), Nau Shahahr, and Nowhatta, the locations which were either founded or improved to host the seat of power. Then Mughals got up-hill and ruled from the foothills of Kohi-Maran as they created the Nagar Nagar town inside a huge wall to house their bureaucracy and soldiers. 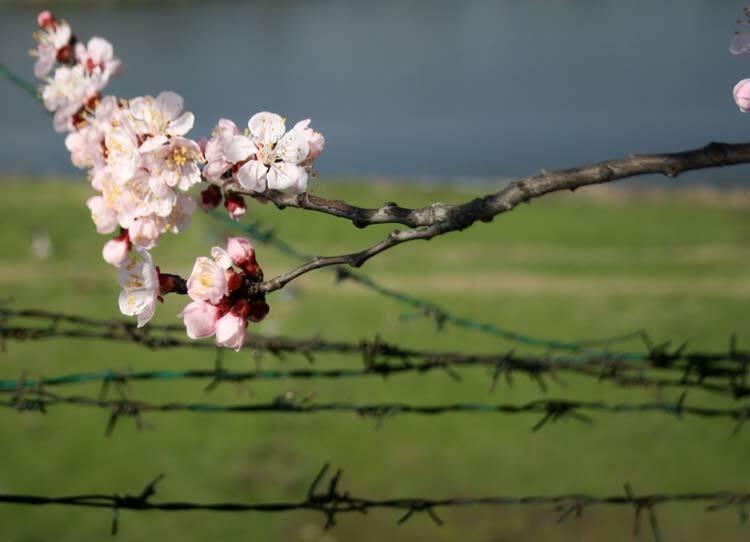 With focus on Jhelum as the main artery of life and communication, Srinagar lived on the right side, far away from its harm. Afghans were perhaps the first to invest on both sides of the river. They set up the Fort over the hill and created the Sherghari Palace and connected the two banks by Amira Kadal. It marked the beginning of the constructions on the Batamaloo – Hazuribagh side that emerged as the hub of commercial activity with the functioning of world’s biggest silk reeling factory in the latter part of the Dogra rule. By then, the most of the right bank was an English town wherefrom East India Company officials would camp, enjoy, conspire and rule. While Chaks and Sikhs did not contribute in Srinagar’s built-infrastructure, the successor of Gulab Singh, set up three Palaces on the Zabarwan Hills, not far away from the Gupkar vineyards. and fast and most of the new governance set up started coming up on the left side of the Jhelum: the Civil Secretariat, Police Control Room, Accountant General’s office, High Court, Exhibition Grounds and S P Museum. The urban mass also swelled like this. As trade followed footfalls, homes paved way for commercial activities. Housing belts like Balgarden, Karan Nagar, Jawahar Nagar, Rajbagh and Munawarabad are already commercialised. The organised development of Srinagar city started after the Town Planning Organisation (TPO) was set up. The state government requested Delhi to train one of its engineers, Mohammad Sultan Pampori, who became the first Kashmiri student of Delhi’s School of Planning. Back home, he became Kashmir’s first town planner. With him, the work on first Master Plan in 1971 for the next 20 years, till 1991, started. However, it was notified in 1974. Creation of Housing Colony Bemina lured a lot of population towards the belt. The making of Ali Jan Road through a wetland took people on that track too. As the Master Plan added Rakhi-Gund, Ekshah, Arampora and many other villages into the city, urbanisation took it by storm. 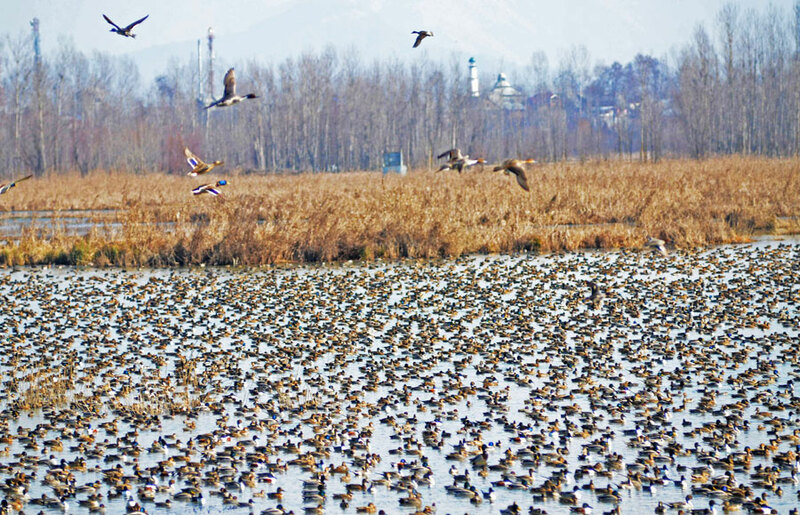 This Master Plan triggered growth in west and southwest direction of Srinagar mostly in the low lying areas, wetlands and flood absorption basins adjacent to Flood Spill Channel. The main area worth housing towards Zakura remained by and large untouched. Though urban planners were aware of it, they lacked land resource to see a growth. Tulsi Bagh, Gugjibagh, Jawahar Nagar and Nursing Garh had already been developed by the government, much before TPO was around. Plan’s major attraction was conversion of empty pockets between Nowgam and Mehjoor Nagar into two major artificial lakes to manage the floods. These lakes would connect to flood spill channel and the Narkura wetland, but the plan remained on papers. Insiders suggest politics prevented implementation of the plan that would have fetched Srinagar a cushion against floods and two additional tourist attractions. Kashmir started changing in 1987. As a new situation emerged, Master Plan formulation was no priority. For the next 10 years, the haphazard urbanisation and encroachments added to the Plan failure. The next Master Plan 2000-2021 had nothing much in its belly excepting that the city will grow towards South up to Pampore. The city, however, moved North-East, towards Zakoora. But for the development of the city, the Plan added many new habitations into the city limits. It is this plan that has been revised and extended up to 1935. At a time when the “experts” have devised the new growth trajectory for Srinagar, various interventions including from judiciary have set clear limitations of the growth pattern. Water bodies, eco-sensitive zones, and heritage are clearly governed by a set of ruler that shall remain sacrosanct for all kinds of urban planning. Interestingly, Srinagar is going to be a Smart City with emphasis on improved public transport as the overall investment is expected to be more than Rs 500 crore. Another Rs 600 crore is anticipated to come through National Heritage City Development and Augmentation Yojana (HRIDAY) that is aimed at bringing together urban planning, economic growth and heritage conservation in an inclusive manner to preserve the character of each Heritage City. Already, the ruling coalition government has framed separate developmental plans for Jammu and Srinagar cities with substantial funds. So the new plan must be smart enough to all these requirements because no development can take place outside the Master Plan outline. So what is in the plan? Srinagar, according to TPO, is spread overt 416 sq kms and inhabited by 23.5 lakh people. The revised plan swells it up to 766 sq kms with anticipated population of 32.50 lakh by 2035. Master Plan being revision of the existing plan, it implies that fundamentals of the plan shall remain unchanged. But the revision almost doubles up the city landscape. New Srinagar will have its outer boundaries in Narbal (Tangmarg), Gallander (Pampore), Budgam and Ganderbal. Though the Plan document does not offer any clear comparison between the existing land use and the improvements it intends to bring in, certain changes are, however, glaring. The Plan intends massive reduction in the buffers around ecologically sensitive areas, including monuments. The existing buffer zone of 200 meters from Nishat to Dalgate, fixed by the team of experts on basis of a court order, has been reduced by 50 to 100 meters. In case of Northern Foreshore Road where any kind of constructions were banned up to 1000 ft from the centre of the road, the new plan has altered it to 100 meters (327 ft). The Plan envisages reviving the Western Foreshore Road that will take off near Mumta Hotel (Dalgate) and move towards Dargah. This road was planned earlier but was abandoned because of the anticipated impact on the Dal Lake. At the same time, the Plan suggests a 40-ft wide road from Nishat to Dalgate. In case of Anchar Lake, the buffer stands at 250 meters, apparently more than Dal Lake. Supreme Court has forbidden any construction within the 5 kms belt of the national parks. The Plan has suggested a buffer of only 1000 meters from the Dachigam National Park. Interestingly, the land use has been altered on the bye-pass, perhaps the only road that is comparatively better in Srinagar. Right now, its buffer, from the centre of road is between 164 to 220 ft. There cannot be any construction within this limit. Now the plan suggests that constructions can happen beyond 120 ft from the centre of the road. It makes room for massive constructions all along the 14.50 kms between Parimpora – Pantha Chowk. A new market can emerge on the two sides which will make the road crowded and change the entire landscape. Getting building line closer to roads or ecologically sensitive zones will mark the beginning of a new mess that will change the character of these spots. Interestingly at places where the highest flood level (HFL) has significantly increased, the buffers have tragically decreased. The new master plan is ambitiously trying to change the administrative DNA of the city by shifting away major public offices to the periphery. De-congestion is the buzzword. The civil secretariat, the nucleus of the government, is operating from its present location since Bakhshi era. The successive governments have added to the space to make enough and adequate room for the additional staff it requires. 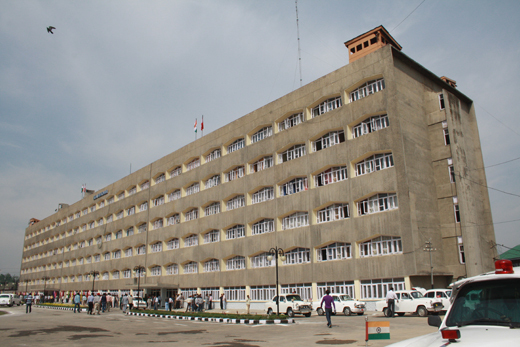 The secretariat is located at walking distance from the state legislature, the High Court, the public auditor, the police Control Room, Divisional Police Headquarters, as the hospital, fire services, the public broadcaster, the media and the J&K Bank Corporate headquarters –all are within a range of three to five minutes, drive. Over the years actually, the stretch from Dalgate to Batamaloo has emerged as a governance belt. All the vital spots housing governance tools and addresses are located very close to the seat of power. This closeness is vital because Srinagar is more prone to situational crisis than to climatic adversities. Almost all the housing habitations for the governing elite are also located close-by: Gupkar, Church Lane, Tulsi Bagh and Bemina – all within a 5-10 minutes drive. But the revised Master Plan suggests a complete makeover of this belt. It wants shifting of the civil secretariat to Nowgam, somewhere closer to the railway station. Compared to its present location, Nowgam is a flood basin, and any construction in the belt is a bad investment, given the fresh mapping of the city carried out by the Irrigation and Flood Control department after September 2014 floods. Once the secretariat is emptied of its essence and people, the concrete monster will become the new mini-secretariat housing all the divisional level offices. Interestingly, Civil Secretariat was the last place that was inundated by the September 2014 floods. If it shifts to Nowgam, the seat of governance will be the first to fall. The idea goes contrary to the proposal, also part of the plan, of using flood absorption basin as a bio-diversity park and an urban lake near Mehjoor Nagar. Apart from civil secretariat, lot many institutions are moving out. In the backyard of the CAPD directorate are huge go-downs storing various supplies of rice, flour, sugar and kerosene. Off late, the FCI has invested massively in peripheral warehousing thus diminishing the importance of these stores. The Master Plan wants to utilise this land for multiple purposes – it intends to shift the Fire Services to Shaheed Gunj, utilise part of the land for a facility for crafts, set up a playing field and a multi-level parking. Reasoning for shifting the Fire and Emergency Services from centrally placed Batamaloo to Shahee Gunj has been justified by providing better road connectivity and easy movement towards districts and the city! The fact is that from the existing location, the fire tenders have better avenues for faster movement: it is on the main M A Road, at a shortest distance from Lal Chowk and very close to the highway through the erstwhile Batamaloo bus stand. Shaheed Gunj is a highly congested place that lacks even a better road. Almost 23 major public utilities and institutions are proposed to shift out to the peripheries of the city. Forest department, located in Lal Chowk will move to civil secretariat, Old Assembly Complex, Directorate of School Education, Old Secretariat, Divisional Commissioner’s Office, and Horticulture Complex Lal Mundi – all will shift to the Civil Secretariat premises that will be the new mini-secretariat. Doordrashan Kendra, and possibly the Radio Kashmir, will move out of the present building and will go somewhere closer to the Airport, Srinagar. The official residence of Chief Justice of the state will move up the Gupkal Hill from the Sonawar crossing. Veterinary Complex in Maisuma will also move out and operate from Eidgah, near Noorbagh. Deputy Chief Minister’s residence on the M A Road will get into the Sonawar and the building will be converted into a state guest house and a Banquet Hall. Directorate of Information in the Polo View along with the Traffic Office will go to Bemina. These buildings will be dismantled to convert into a Central Park. District Police Lines located on the Karan Nagar – Batamaloo axis will go somewhere to Noorbagh in Eidgah. Chest Disease Hospital will go to Zewan. The Leper Hospital and the Leper Colony located on the banks of the Nigeen Lake will be moved to Khimber, Shuhama and Saidpora belt, respectively. The Master Plan is touching all the facilities located near Badamwari. The historic Central Jail will go to Khunmoh. The state run Psychiatric Diseases Hospital, located quite adjacent to it – earlier it was part of the central jail, will also go to Khunmoh. Badamwari’s Government Poultry Farms will also move out. Under the Plan, the twin Christian schools, the Biscoe and Mallinson will cross the bridge and operate from the backyard of the existing Museum. By now, the District Court Complex has already moved out from its Lal Chowk address to the Batamaloo by-pass. Even the Government Press in heart of the city is already in the process of moving to the Saffron Karewa near Pampore, very close to the J&KEDI complex. The Plan has grand plan of converting the vacated infrastructure, mostly, into hospitality use. The already abandoned District Court Complex, the Lal Mundi Agriculture Complex, Veterinary Hospital Maisuma, Leper Hospital and the Colony, Chest Diseases Hospital, Biscoe and Mallinson School, Divisional commissioner’s Office, Old Assembly Complex, Chief Justice Residence, Doordarshan and Forest Offices – all will be converted into the tourism infrastructure, mostly into hotels. Four places have been identified for public parks: Government Press building (with some commercial element), the Information Directorate and Traffic Office, CAPD go-downs in Shaheed Gunj and the Fire and Emergency Services (includes a municipal library). Old Secretariat will be converted into a Museum and Art Gallery. District Police Lines will become an official housing colony. Central Jail and Mental Hospital will become Craft Centres. From the Poultry Farms near Badamwari, Kashmir’s Disaster Cell will work. Directorate of Education will be a school. Differ Strikingly: BadamwariGardenis located in downtown Srinagar.It is one of the most prettiest sight to see in Spring where the Almond trees are in full bloom.Situated on foothills of Koh-e-Maran, the 300 kanals garden was dotted with trees, flowers and cascades providing a soothing experience to the visitors. With this “restructuring” the main governance belt will become a colony of hotels. Tourism is a fair-weather economy that lacks any significant contribution to Kashmir economy. It actually erases history under the garb of decongestion. 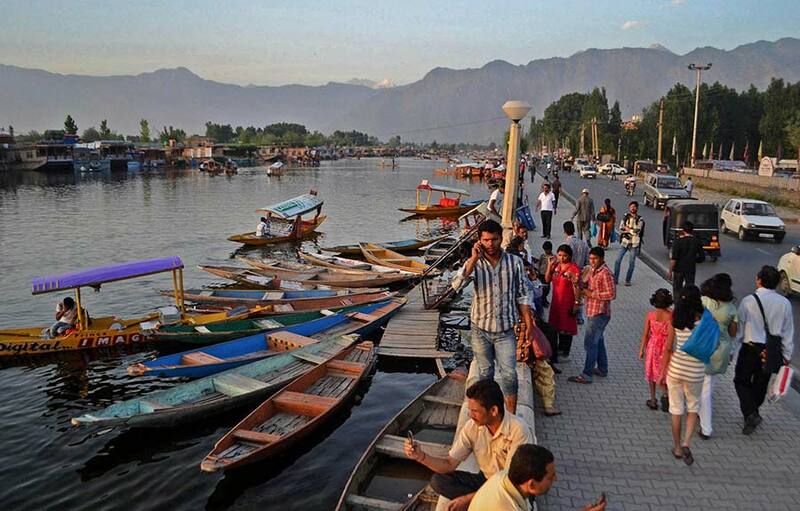 How many tourists will be in Kashmir by 2035? The Plan says 70 lakh! What could be the percentage of the tourists of this rush that can hire the facilities the new plan wishes to create for them? Right now two-third of the tourists coming to Kashmir comprises backpackers. Even if Kashmir gets 10 million tourists by 2035, why should they live in Lal Chowk. Calculations by the TPO suggest that against a demand of 10309 beds at the peak of tourist season, Srinagar already has 42875. 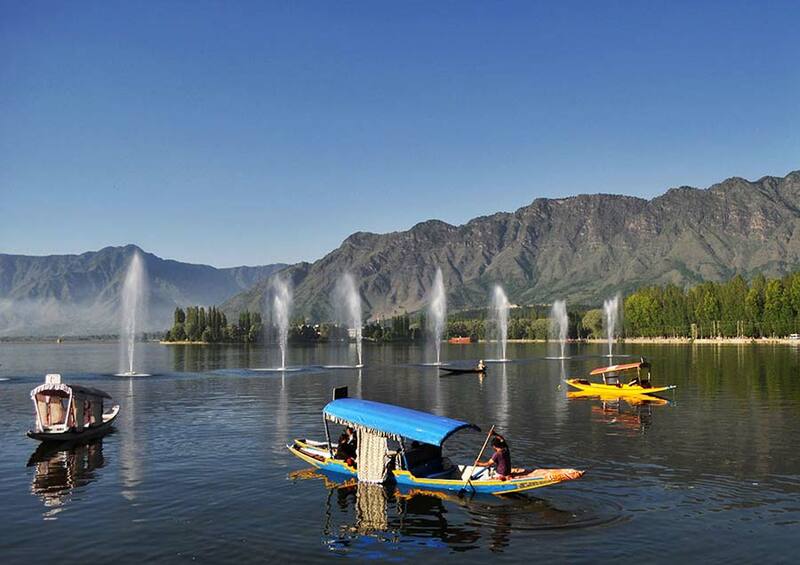 But a future requirement for seven million tourists would require Srinagar adding 34903 beds more. And if they live in Lal Chowk, where will the businesses go. 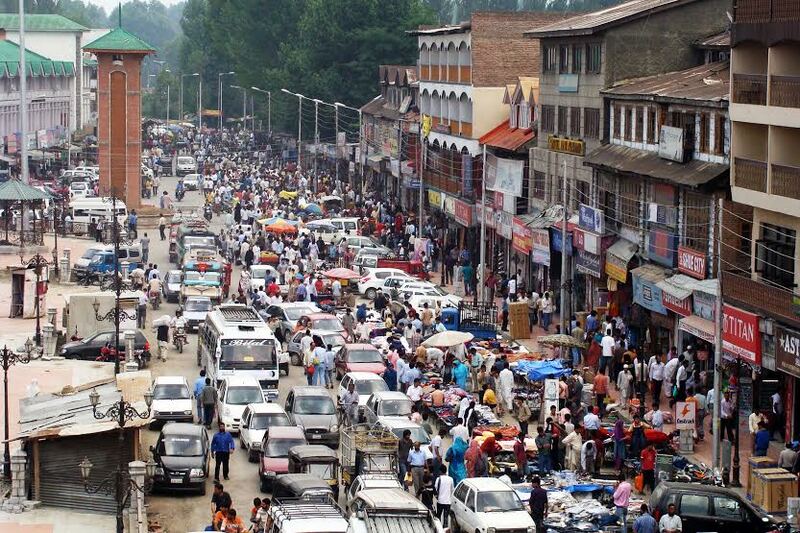 Lal Chowk is a governance district and businesses rely on the footfalls that offices generate. No number of tourists will replace the local movement. People aware of the urban planning say these change will devour the “historic character” of the city and push it towards “urban decay”. 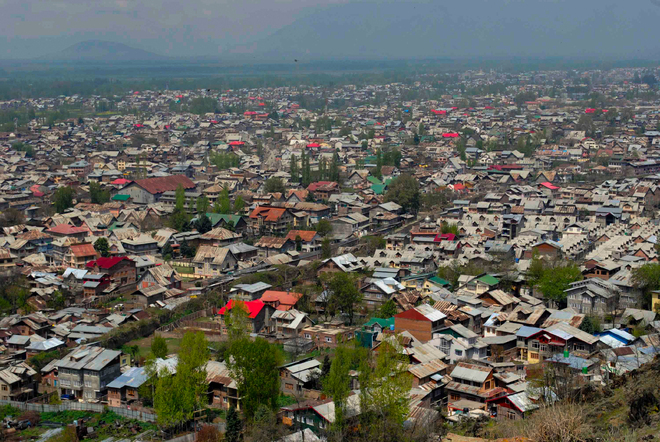 The Plan sees the Shehr-e-Khas as “houses huddled together with poor ventilation and sanitary conditions” as it describes the vast belts of Zakura, Nowgam, Lawaypora and Bemina as “dormitory townships”. Srinagar city draws flak on public transportation if compared to other cities. While in other cities roads make almost 12 percent of the developed areas, Srinagar has only three percent. Almost 60 percent road length in the city is less than 10 metre in RoW (6.5 metre c/w) and 90 percent of the existing road network has undivided carriageway without roadside footpaths. Only 15 percent of the roads have footpaths, 25 percent of them only on one side. The Plan deserves credit for taking the crippling public transport set up seriously. It envisages three roads encircling the city. The Inner Ring Road (IRR) will move from Qamarwari, Sekidafar, Nawa Kadal, Rajouri Kadal Khanyar, M A Road, Rajbagh, Padshahi Bagh, Nowgam, Hyderpora, Tengpora up to Haj House. The Intermediate Ring Roard (IMRR) will take off from EDI, go to Khandah, Gogo, Humhama, Sheikhpora, Sebdan, Haran, Soibug, Hajibagh, Zonimar, Zainakadal, Lal Bazaar, Hazratbal, Saida Kadal, Dalgate, Sonawar and rejoin EDI. The Outer Ring Road (ORR) will takeoff from Galander, Khandah, Budgam, Narbal, Rambirgarh, Smbal, Ganderbal, Pandach, Zakura, Shalimar Bagh, Dalgate, Pantha Chowk, Pampore and Galander. This system would require, according to the Plan, shifting of Batamaloo bus terminal to Parimpora and the Pantha Chowk terminal to Galander. The abandoned terminals would become city sub centres. The government plans a tunnel under the hillock housing Shankara Acharya temple for more than a millennium. The issue is not that of the temple, the issue is that this hill is a dormant volcano. The tunnel is not part of the plan, so far, but the “planner” are making loud thinking on this front so that connection between Sonawar and Nehru Park becomes easier and swift. The Plan is ambitiously talking about reviving the erstwhile network of city’s water transport using the main river, the lake and various channels. It would, however, require a longer study that would take care of the techno-economic feasibility. Studies carried out so far on the main river have not been positive. Plan has acknowledged, perhaps for the first time, the importance of heritage sites. It has included nearly 900 additional sites – mostly privately owned built heritage. But it lacks details about how it intends to conserve it for posterity. 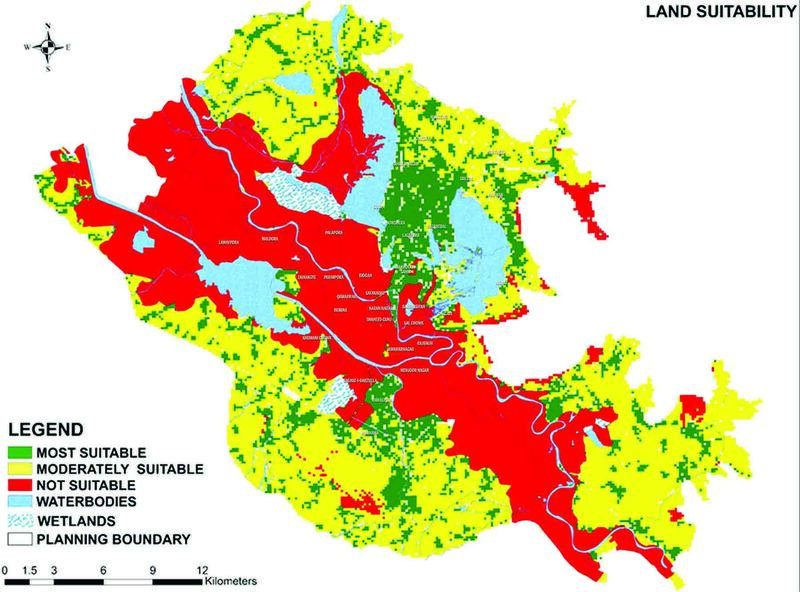 Interestingly, the Plan lacks adequate protection to the ecologically sensitive spots. Right now, huge tin-walls have been erected right from the gate of the Dachigam National Park up to the depth of Dachigam Nalla. It has happened at a time when a capitalist has been permitted, in fact a road was laid for him, to construct a huge commercial building on the riverbed, almost on the site where Jhelum breached in September 2014. Hoker Sar, for instance, will have a Special Economic Zone running all along its rim. In the rare of it will pass the Outer Circular Road. This will choke the Ramsar site further as no buffers are around. The Plan lacks a clear detail about what it intends to do with the wetlands that are already under massive pressure from surging urbanisation. There has been an effort earlier to get the Shalimar and Nishat gardens into the list of World Heritage Sites for which detailed projects were already submitted to the UNESCO. The inclusion would require primary and secondary buffers but the plan has done away with that by reducing the entire buffer system to mere 100 meters. The Plan actually helps encroachers to convert a Mughal garden, the Saif Khan Bagh, as a tourist village with an Urban Haat. The Plan admits the cumulative deficit on the housing front. Under the earlier Plan, the only housing belt that emerged was Bemina. In order to help the water body breathe, there were plans to create two lakes in the same belt over an area of 1100 acres of land. While the Bemina cropped up, the lakes were never talked about. In addition three more housing colonies came up at Bagat-e-Shour, near the HMT slopes and Rakh-e-Aarat, but most of these housing colonies were for rehabilitation. In the next 20 years, it anticipates creation of nearly 300 thousand dwelling units. It intends creating satellite townships at Budgam, Pampore and Ganderbal (that has already taken place, perhaps at a modest scale in Ganderbal), three dormitory townships at Nowgam, Lawaypora near HMT, Bemina and Zakura. 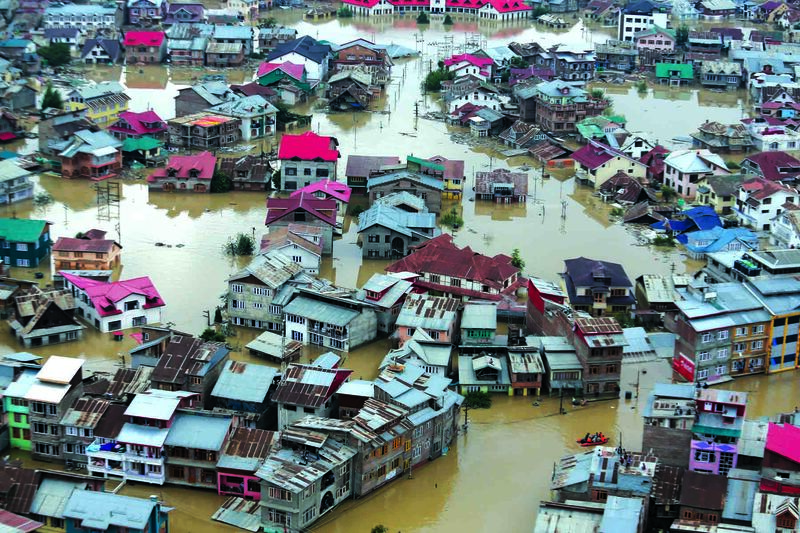 A close scrutiny of the Plan makes it clear that most of the low density housing is planned in Srinagar’s worst flood-prone areas! Interestingly, the Plan reiterates protecting the flood basin from Lethpore to Lasjan but forgets the same where it matters the most, the Srinagar city.